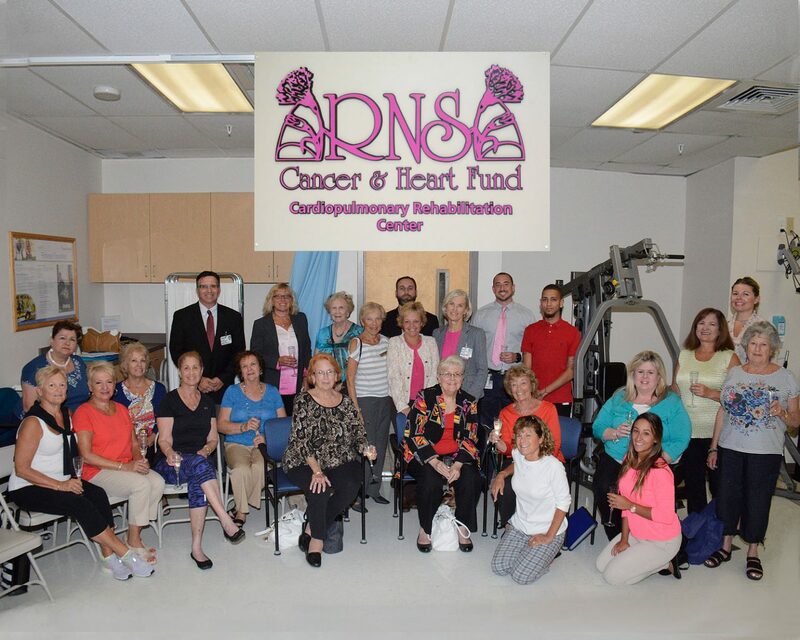 Thanks to a $150,000 donation from the Ruth Newman Shapiro Cancer & Heart Fund (RNS) the Bacharach Ruth Newman Shapiro Cardiac Rehab Center was recently refurbished, refinished, re-equipped and revitalized. After many years and hundreds of patients accessing cardiac rehab, it was time for a little face lift. We asked the RNS board for a grant to reconfigure the space for better efficiency and to enable us to serve more patients, and they generously funded our sparkling new RNS Cardiac Rehab Center. Cardiac Rehab is a very important and specific type of rehabilitation focused on strengthening the heart and lungs that is prescribed for those recovering from heart attack, stent surgery or angioplasty, open heart bypass or valve surgery, stable angina, peripheral vascular disease or other cardiopulmonary conditions. The RNS Cardiac Rehab Center gym resembles a fitness center with treadmills, stationary bicycles and other exercise equipment. But, unlike a fitness center, the gym is staffed by therapists and exercise physiologists specially trained to oversee a physician-supervised, controlled exercise program. Broken into three phases, Phase I cardiac rehabilitation starts when the patient is still in the hospital recovering from surgery or cardiac event. Once a patient has been released from the hospital, they begin Phase II of cardiac rehab – a 12 week program of one hour of supervised outpatient therapy three times a week. Patients in Phase II exercise using treadmills, equipment, bicycles, rowing machines, arm ergometers, Stairmaster and weights. During Phase II, a patient’s vital signs are continuously monitored and progress notes are provided to the patient’s physician on an ongoing basis. In addition, patients receive extensive education on risk factors, behavior and nutrition. When patients are ready for the Phase III maintenance program their exercise prescription is redesigned to be self-directed but take place in a supervised cardiac rehab setting. Blood pressure continues to be monitored during exercise and when at rest. We sincerely thank RNS for their support. This all-volunteer organization, dedicated to serving our community for the past 50 years, has raised over $15 million to fund programs, services and equipment purchases for hospitals in the region. To learn more about Bacharach’s Ruth Newman Shapiro Cardiac Rehab Center, please call 609-748-2091.